Throughout its colourful history, the Rugby Football Union has proved itself world class when it comes to internecine warfare. The latest splurge of bloodletting, though, has shocked even seasoned RFU watchers. To see the hierarchy of English rugby fighting like rats in a sack has been deeply unedifying if you happen to care about the sport. It must be deeply confusing even if you do not. 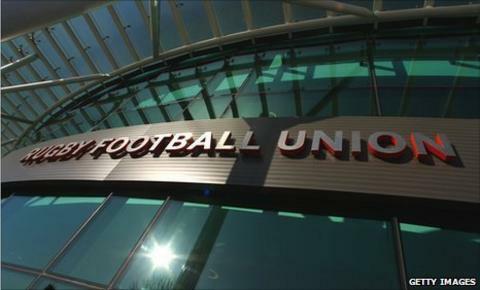 One RFU Council member was heard to remark recently that the governing body was "even managing to make Fifa look good". The reputation of the RFU is in tatters, and it is entirely of their own making. The most recent episode played out last Sunday. It was a blockbuster, even by their standards. The 61 members of the RFU Council had gathered to discuss the findings of a report that they had commissioned. The RFU's Disciplinary Officer, Judge Jeff Blackett, had been asked to investigate the chaotic events of the preceding months: the recruitment - and sacking - of John Steele as chief executive, and the flawed attempts to appoint a performance director. Blackett led a four-man panel. The investigation involved more than 65 one-to-one interviews and written submissions, and more than 100 RFU documents. He had promised a "warts and all" investigation. I have obtained a copy of the report, and the findings are highly critical of the role played by the RFU Management Board, but especially of the chairman Martyn Thomas. Blackett concluded that there had been a breakdown of trust within the RFU, and that Thomas was persistently leaking information outside Twickenham. He recommended Thomas resign as chairman, along with every member of the management board, except Bill Beaumont. Thomas did step down, but retained his role as acting chief executive. The board survived a vote of no confidence by the council members. Perhaps the most staggering chapter of this tale occurred during Blackett's presentation of his findings to the council. The Judge was interrupted by an email from Martyn Thomas's lawyers, threatening a defamation suit, should the report be made public. Thomas considered himself the victim of a witch-hunt, and later said the decision to prevent its publication was in part down to the short time that the council and the board had been given to digest it. The former chief executive of the RFU, Francis Baron is stunned by the events of the last few weeks. "The Board is in a state of total denial. Nobody is accepting responsibility. When there is a horrendous sequence of events on your watch, then you do the honourable thing." Baron also has strident views regarding Thomas's decision to threaten legal action against Blackett. "It's clearly ludicrous for an organisation to appoint a panel to produce an objective report, and then to suppress its publication by the threat of legal proceedings. It would be like the Board of News International objecting to the publication of the Judge's report into phone hacking, simply because it criticises them." Judge Blackett took several days to consider his own (unpaid) position, questioning whether his integrity had been impugned. He has decided to continue as disciplinary officer, which is one piece of good news for the RFU, given the regard in which he is held throughout the game and across the legal profession. So where next for the RFU? Strong leadership is required, from people in permanent posts. We are told that protocol dictates a minimum of 60 days before a new chairman can be elected, which means that we can expect a delay of closer to three months. The process of recruiting a new chief executive will take much longer. A time frame of up to nine months has been mentioned. That means that the Rugby World Cup will take place in New Zealand without any executive posts filled at Twickenham. Arguably more significant is that in October, the union will face the embarrassment of being handed the hosting rights to the 2015 tournament without a permanent chairman or chief executive in place. Baron is concerned that the International Rugby Board might even be considering stripping England of those hosting rights. "They must be thinking that England's governing body can't manage its own business, and will be worried about risking the RFU managing the 2015 tournament. That would be horrendous. The Blackett report must be published, and the recommendations have to be implemented. Only then can we show that we can manage our own affairs properly." Martin Johnson is about to lead his England team into a World Cup campaign. How much the recent shenanigans at Twickenham will have unsettled him and his squad is hard to quantify. The players are unlikely to be affected by boardroom politics, but they must be thoroughly bemused at the way events have unfolded. Johnson himself has remained silent throughout. No doubt that famous brow has furrowed disapprovingly on a number of occasions in the last few months. He is effectively without a boss, but perhaps he likes it that way. Johnson's contract as England manager concludes at the end of the World Cup campaign. Clearly, his future will depend on his success or failure in New Zealand. A semi-final place or better, and he will most likely continue. Failure to qualify from the pool stages, and there would be a number of interesting discussions to be had and decisions to be made. Who would make those decisions though? Martyn Thomas, the rejected chairman but still acting chief executive? The question alone indicates the tangled mess that the RFU has made for itself.